We are thrilled to report that 13,166,854 students in 24,027 schools and 113 countries were part of the 2019 Great Kindness Challenge!!! Thanks to you and your trailblazing students, collectively we inspired over 650 million acts of kindness!!! What an AMAZING celebration of kindness it was! We hope your week was filled with an abundance of joy and that the kindness momentum will continue! 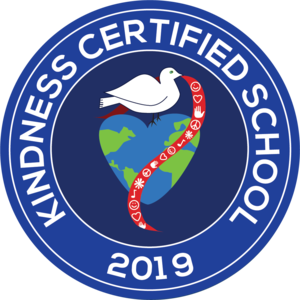 Because of your school's participation in The Great Kindness Challenge, we are honored to acknowledge you as a Kindness Certified School.